After another tumultuous week, the White House looks a lot different. In what has been yet another tumultuous week for the White House, the Trump administration appears to have kicked off a Cabinet reshuffle, where several Cabinet members are replaced at once or in close succession. Though they’re not uncommon in Western democracies, they’re a rarely used political tool in the United States. In parliamentary systems, a Cabinet reshuffle allows the governing majority party to revamp its administration in the face of slipping public support. It’s easier to accomplish in a parliamentary democracy, as Cabinet members don’t face confirmation fights. In the United States, it only regularly occurs at the beginning of a president’s second term, when turnover of Cabinet members traditionally gives the president the chance to appoint someone new to fill their place. Things haven’t been quite so stable under the Trump administration. The original secretary of homeland security, John Kelly, lasted just seven months on the job before he switched over to become White House chief of staff, replacing Reince Priebus. Health and Human Services Secretary Tom Price, a former Georgia congressman, also resigned after less than a year in office following a controversy over his use of government aircraft. They’re not the only ones to leave this administration, just the highest ranking; a variety of staff have left their jobs as well. Recently, they were joined by Gary Cohn, who’d been serving as director of the National Economic Council. Although not a member of the Cabinet, Cohn was considered an influential advocate for moderation within the West Wing. A Democrat, Cohn argued internally in favor of the Paris climate accord and our staying in the North American Free Trade Agreement and against the tariffs on steel and aluminum that President Donald Trump is set to impose. Cohn is set to be replaced by CNBC personality and economist Larry Kudlow. Kudlow is — unlike Cohn — a longtime Republican who served in the Reagan administration, so he’ll likely agree with conservatives in the White House more often on a number of issues. However, he’s criticized the administration’s decision to impose tariffs, as he’s long been a supporter of free trade. So, while appointing him is a change of direction for the administration, it’s not necessarily a complete reversal on economic policy. The same cannot be said of the replacement of Secretary of State Rex Tillerson with CIA Director Mike Pompeo. 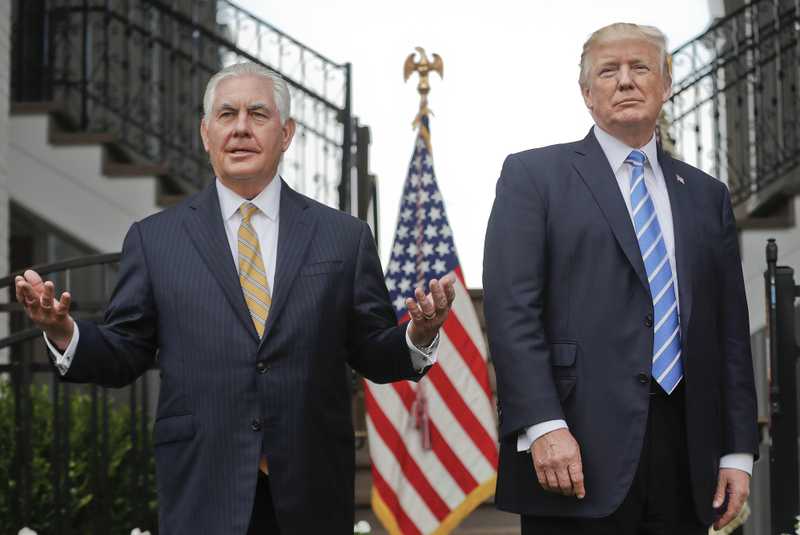 Like his fellow former business executive, Tillerson was widely seen as a voice for restraint in the White House. He has been opposed to withdrawing from the Iran nuclear deal, and also supported staying in the Paris climate accords. Pompeo, however, has long held more aggressive views of national security and foreign policy. He’s fervently supported the National Security Agency’s surveillance programs, argued against closing down the Guantanamo Bay detention facility, and pressed for military action against North Korea. All of this led to his nomination as CIA director being opposed by Rand Paul, though he ended up with plenty of bipartisan support and was easily confirmed. It will be interesting to see whether history repeats itself, or if Democrats have soured on Pompeo over the course of the past year. Even if the U.S. Senate again gives Pompeo the benefit of the doubt, they may not be so kind to Trump’s choice to succeed him as CIA director. Trump has nominated Pompeo’s deputy, Gina Haspel, a 30-year CIA veteran, to serve as the first female director of the agency. Although there’s no doubt that Haspel’s extensive experience makes her imminently qualified to lead the CIA, it will also cause quite a bit of controversy. During her career, she was extensively involved in the enhanced interrogation program for detainees, which critics considered to be torture. Rand Paul has already announced that he cannot support her, so it opens the opportunity for Democrats to sink her nomination. How she performs during her confirmation hearings in the Senate Intelligence Committee (on which both Susan Collins and Angus King serve) will likely determine whether she has any chance at being confirmed. There has also been word spreading around Washington that National Security Advisor H.R. McMaster may be on the way out, with former U.N. Ambassador John Bolton a leading candidate to replace him. Bolton, who frequently appears on Fox News, is a hard-right neoconservative. Along with the replacement of Tillerson and the elevation of Haspel, bringing in Bolton would signal the ascension of a newly aggressive foreign policy and national security team. Together, they could move further toward putting Trump’s campaign rhetoric into policy both at home and overseas.